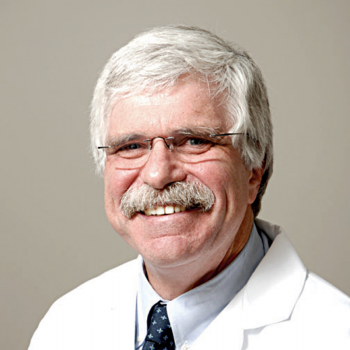 Dr. Wolff is a Board-Certified dermatologist. He was raised in Delmont, Pennsylvania and attended the Greensburg Public Schools. He received his undergraduate degree from Harvard University. He graduated in 1978 with his medical degree from the University of Pittsburgh. At Geisinger Medical Center he received an internship in Internal Medicine from 1978 to 1979. Afterward, from 1979 to 1982, he was commissioned in the U.S. Public Health Service as a Sr. Assistant Surgeon, practicing family medicine at the Miner’s Clinic in North Apollo, PA. This visit was for my annual check-up. Everyone was very pleasant when checking in, asking questions for necessary updates and examination. Dr. Wolff is amazing in that he remembers me each year . He is always very welcoming and puts you at ease. He is pleasant, professional and very thorough. Thank you! Love, Dr Wolf he’s such a great Doctor. Dr Wolfe is very friendly and I have been going to him for a long time. I trust him and would recommend him to anybody. Dr Wolff is very friendly and I have been going to him for a long time. I trust him and would recommend him to anybody. always a good visit. always very prompt. The staff has always been friendly to me. I have gone to Dr Wolff for years. He’s very knowledgeable and caring. Dr. Wolff is one of the great ones. Very accomplished and puts his patients first at all times. I very much enjoy being his patient. Dr. Wolf always takes the time to address my concerns/issues. I never have a long wait and he has a great bedside manner. I would highly recommend him!!! Mike has been a patient for years and will continue to see him...He is knowledgeable and through.